If you're looking to buy a Belgian property on a tight budget, avoid Ixelles, Woluwe-Saint-Pierre or Knokke-Heist on the seaside - and try Molenbeek, Ronse (West Flanders) or Hastière (Namur province) instead. Belgian national statistics office Statbel has published its latest house price index, based on actual prices for property sales concluded in 2017. Ixelles is Brussels' most expensive commune, with a median house price of €699,000. Woluwe-Saint-Pierre (€590,000) and Uccle (€495,250) complete the Brussels top three. At the other end of the scale, cross the canal and you can find a house in Molenbeek for an average of €240,000, Anderlecht €251,500 and Ganshoren €278,000. In Brussels, the average apartment sells for €197,000 - that's up 6.5% in a year, according to Statbel. In Flanders, apartments typically sold for €185,000 while in Wallonia the average was much lower, at €140,500. A terraced or semi-detached house in the Brussels region goes for €365,000 and the Belgium-wide median price is €195,000. In Wallonia, prices averaged €137,000. In Brussels, except to pay €830,000 for a big four-storey maison de maître (up 3.8%). In Walloon Brabant, detached houses can fetch €370,000. The most expensive Walloon municipalities to buy a house are Lasne (€550,000), Chaumont-Gistoux (€420,000) and Waterloo (€400,000). 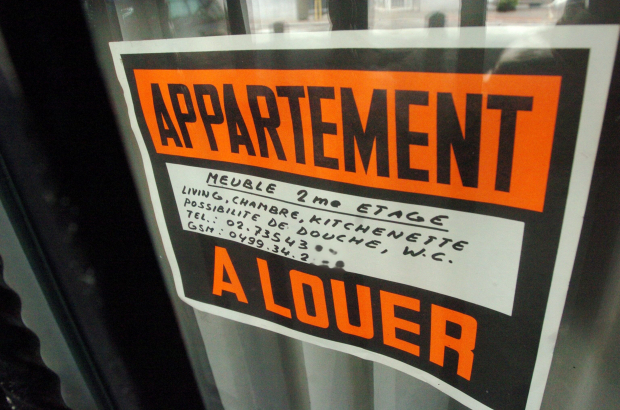 Hastière, in the Ardennes, was Wallonia's cheapest commune for properties, averaging €65,250. If you'd prefer to buy a bargain home in Flanders, head to Ronse (€142,500) - a bilingual commune on the Flanders/Wallonia border.